Haldirams Soan Papdi is an admired South Asian sweet. It is generally square in shape or served as flakes and has a crispy and flaky texture. It is very spongy like flakes or fiber. It is tangy and lip smacking taste. The Mango Fruit is an excellent source of Vitamin A and flavonoids like Beta Carotene, Alpha Carotene And Beta Cryptoxanthin. Together these compounds are known to have antioxidant properties and are essential for vision. Vitamin A is also required for maintaining healthy mucus membranes and skin. Guava is the Tasty and Healthy fruit and is a rich source of Soluble Dietary Fiber.Guava Fruit is an excellent source of antioxidant Vitamin C And Vitamin A.Flavorless Like Beta Carotene, Lycopene, Lutein & Cryptoxanthin Contains no artificial color and Flavor. Beal Fruit is the fruit of health because of its Numerous Health Benefits. The Unati Has Brought this fruit in the form of Tasty And Healthy Herbal Sweets to serve you its high Medicinal Properties. Haldiram Prabhuji Khajur Barfi is a nutritious mouth watering sweet. Haldiram Prabhuji Khajur Barfi is made from finest quality dates which are a good source of iron. Khajoor/Dates are known to be very rich in dietary fiber, antioxidant flavonoids, calcium, manganese, copper, and magnesium. They are good source of potassium, vitamin A and have adequate levels of B-complex group of vitamins as well as vitamin K. Haldiram Prabhuji Khajur Barfi has all rich ingredients and is perfect for any festive seasons. Chewy and tasty, this famous karachi halwa, is an all time favorite delicacy. Karachi halwa from lal becomes more tasty as it contains the whole cut nuts peices of almonds. Made with finest ingredients by lal , this karachi halwa tastes the best! also, it's a great gifting option. Sugar(45%),Edible Oil(29%),Gram Flour,Fine Flour,Cardamom And Pistachio. Tradational Indian delicacy in round ball shapes. Sweets Til-o-Lad is traditional sweets. Serve on special festivals and occasions. It contains well-off proteins. Nuts 'N' Rolls is a diabetic friendly, dried figs and dates can be utilized in a range of dishes. It includes high protein content along with dissimilar nuts and tasty coconut together makes this recipes logically healthy, protein & fiber rich. 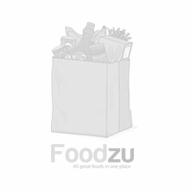 Buy Dry Sweets Online at Foodzu and get attractive discount on every purchase. Dry Sweets is an Indian sweet delicacy which is also known as mithai, a significant element in Indian cuisine. Many Indian desserts are fried foods made with jaggery, sugar, milk or condensed milk. Special Ingredients and preferred types of dessert vary by region to region. Many of the India dry sweets are flavored with pistachios, cashews, raisins, almonds and, spiced with nutmeg, saffron, cardamom, and cloves, and decorated with premium nuts, or with silver or gold leaf. A wide range of Dry Sweets is produced in India and therefore the Foodzu online stores offer you the chance to choose your favorite Dry Sweets at cost-effective prices. There is nothing more sweet, or delicious than the Indian sweet. As a result of the wonderful healthy ingredients found in Indian sweet produce a positive impact on our body and brain. Selecting the premium quality Dry Sweets for your loved ones isn't an easy task. The Foodzu online grocery stores in India understand this challenge and hence serve you with a good range of Dry Sweets at the cost-effective price. Shop high quality of Dry Sweets on Foodzu online grocery store Bangalore and get the product delivered right to your doorstep. Enjoy the easy and relaxed way of online grocery shopping in Bangalore from top brands at pocket-friendly prices.